What a long, zany year. 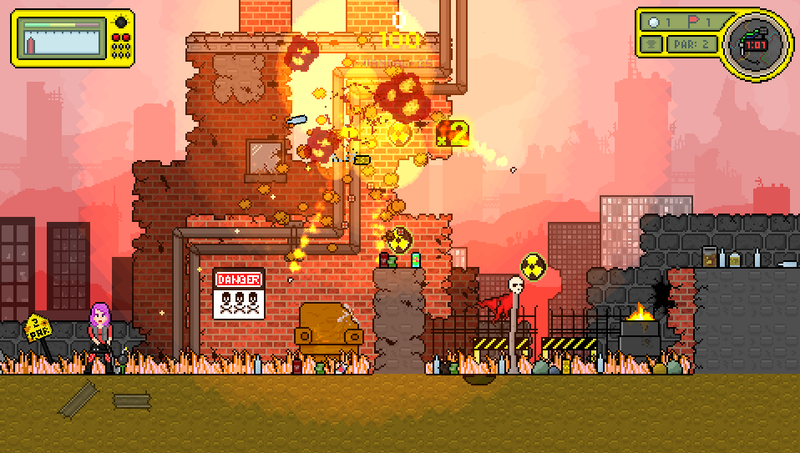 In the past 12 months we’ve gone from coming up with a kooky prototype for a post-apocalyptic 2D golf game featuring radiation and explosions to building that out into something fun and ridiculous — and working with Sony to get it prepped for PS4 and PS Vita, no less! It’s been a wild ride, and we’re excited and eager to unleash this thing we’ve made for you all. Unfortunately, that thing will not be quite ready to launch this year. Logistically, the process of releasing your game on a console as a tiny indie studio is kind of super batshit a little more involved than simply punting it to PC. That’s taken some additional time to sort though from a technical standpoint, though Sony has been incredibly awesome to work with throughout the process. The other reality is we’re only three guys working on this project, and we all have full-time jobs outside of Touchfight Games. We’ve pushed super hard through 2016, toiling away in our subterranean lairs like pale slimy troll people, but we’ve still got a ways to go as we tidy up the last pieces of the game and wade through the QA and tech side of things. We’ve come so very close to the finish line on this project, but to ensure a smooth launch and avoid getting lost in the chaos of the holiday release onslaught we’re about to hit, we’ve had to make the touch decision to push the game’s release into 2017. It’s not a choice we’ve made lightly. The extra time, however, will be extremely helpful as we button up the game, add final spit-shine, and navigate the process of getting it finalized for launch on PSN. So… Nuclear Golf will be delayed to 2017. We’re hopeful that we’ll see it launch on the earlier side of next year, but we’re not committing to any specific dates until we’ve got the thing done and prepped to go. Sooo…what is this game, exactly? 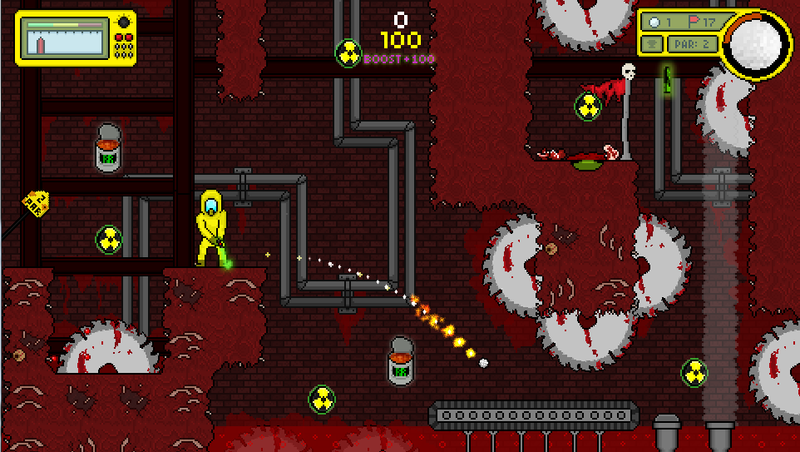 In a nutshell: Nuclear Golf is an outrageous and fast-paced 2D golfing game with explosions, destructible terrain, and boss battles set in and around a radiation soaked post-apocalyptic country club. You can read more about it in this post on the official PlayStation Blog! 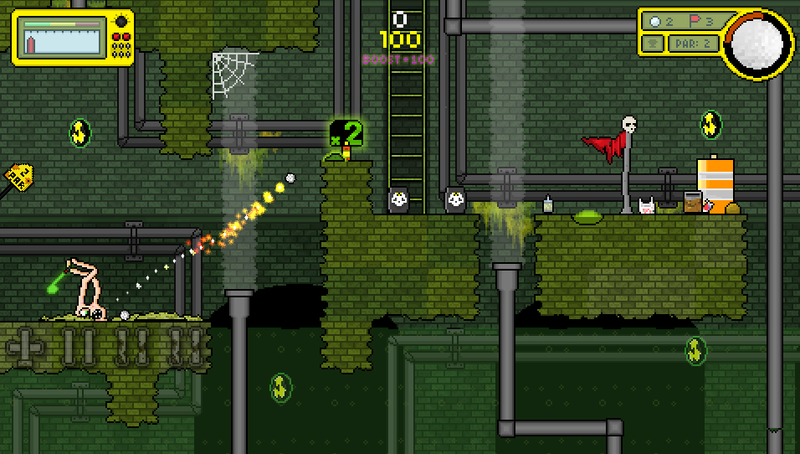 We’d love it if you’d help spread the word, and don’t forget to vote for us on Steam Greenlight! If you’re a podcaster or member of the games press, please feel free to get in touch if you need anything! We’re available for interviews or whatever! 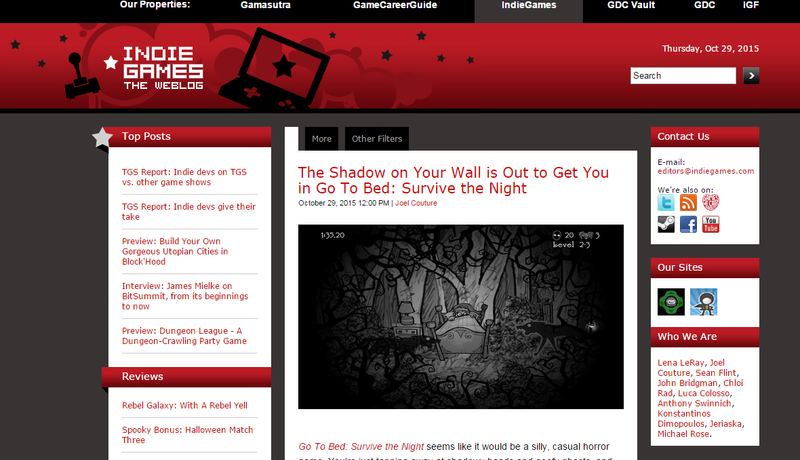 Awesome bit of Go To Bed coverage just went up at the Indie Games blog! Great stuff! If you haven’t yet, you can still grab a copy on Steam for 33% off for a few more days! Go To Bed: Survive The Night OUT NOW on Steam! Today, we’re extremely excited to announce that our debut game Go To Bed: Survive The Night is officially OUT TODAY on Steam. We’ve worked hard to bring the full PC game to launch, and we can’t wait to share it with you! This week, you can grab the game at 33% off! If you buy the game and enjoy it, please consider leaving us a Steam review! Those are really helpful, and we appreciate it! If you’re a YouTuber or member of the gaming press who would like to request a review code, please get in touch: contact@touchfightgames.com and we’ll do your best to hook you up. GTB Headed to Steam SOON! Hey all! 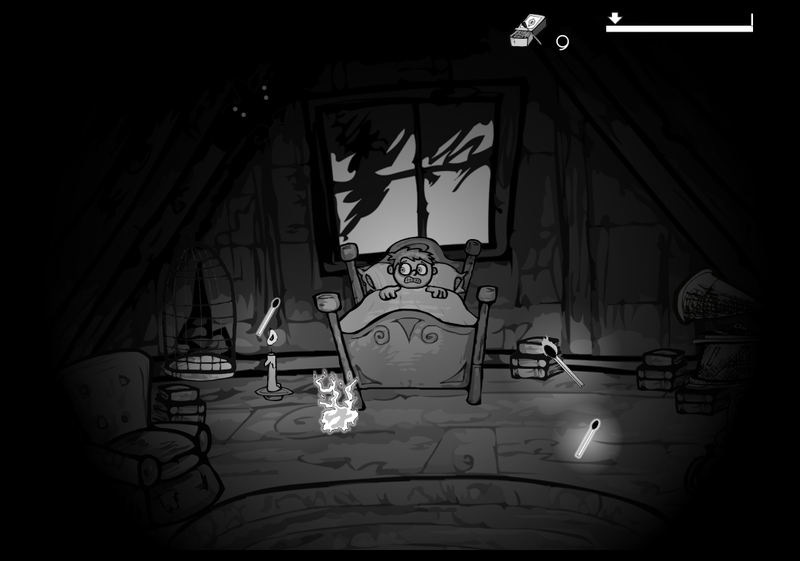 It’s been almost a year exactly since we launched the initial iOS edition of Go To Bed: Survive The Night. In the 12 months since, we’ve been working on adding a TON of new content, optimizing the game, and prepping for a full PC launch on Steam. That time is just about here! We’re working hard to button up the final tidbits so we can launch the Steam edition by Halloween. So expect an update about the game going live sometime in the next week or so! So what’s new with GTB? Aside from making lots of minor improvements and adjustments to the core game, we’ve added a meaty challenging mode called The Nightmare Gauntlet. This batch of nine unlockable stages is a lot tougher than the main game, and it introduces a collectible component. If you can beat each stage and collect all of the items, you’ll unlock a special final boss battle mode that’s super nerdy and more than a little goofy. 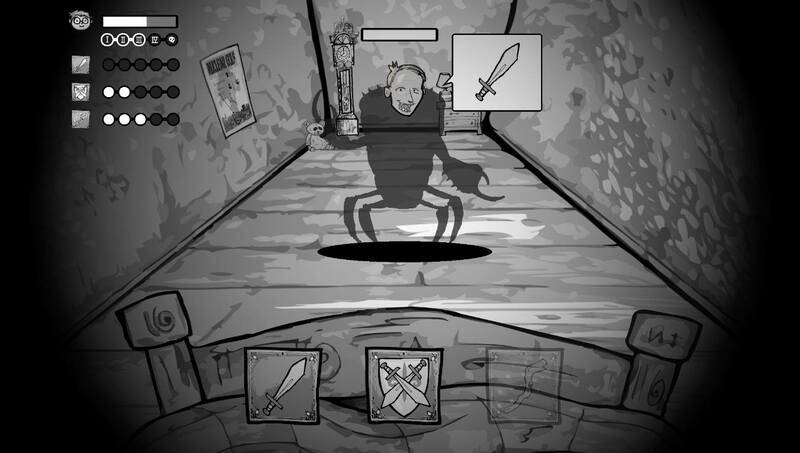 These gauntlet stages and the final encounter also change up the gameplay and add new twists to the adventure. We’ve been working super hard to update the game and make it even more spooky and fun, so we’re excited to be able to share the final edition with you soon! The Steam edition will also include unlockable Steam achievements, assuming we don’t run into any weird snags implementing them this week. What about updates to the iOS edition? Our focus right now is in getting the Steam edition launched. We DO plan to update the iOS version with all of the new content, though that’s going to require a bit more tinkering behind-the-scenes to get everything fine-tuned for the mobile format. We haven’t announced it yet publicly, but this year we also made a HUGE amount of progress on a super-secret project that’ll launch on PS4 and Vita sometime early next year. If you study the screenshot above, you’ll get a hint at what’s coming down the pike from Touchfight Games in 2016! Stay tuned. We’ll be rolling out an announcement and trailer once we put Go To Bed….errrr…to bed. Quick updates and new games! Hey all! We’ve been super quiet of late because we’ve got our heads down in some exciting new projects. We’ve got some great news and a few really neat games in the pipeline. To keep things short, here’s a quick and dirty rundown of what we’ve been up to! 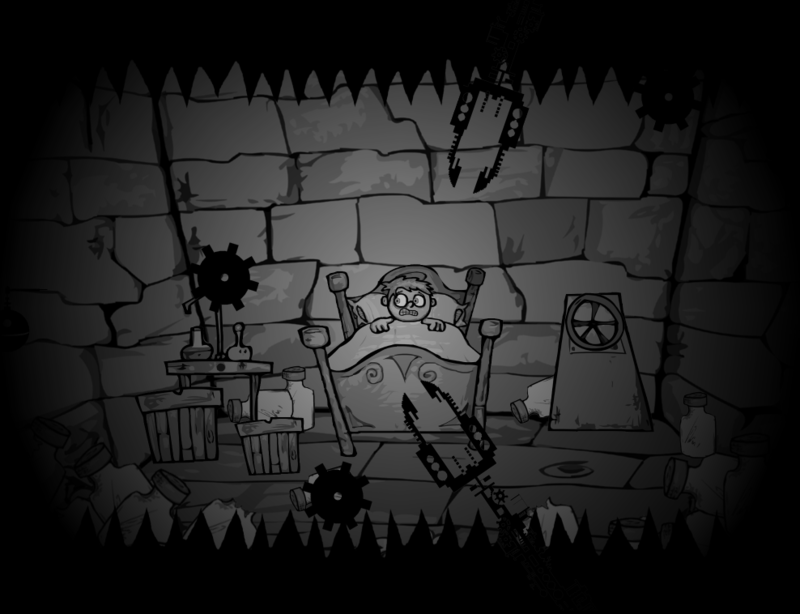 Shortly after the New Year, Go To Bed was finally Greenlit on Steam! That’s exciting news. We’ve been hard at work building out the core game with lots of new challenges, fresh gameplay, and tons of additional content. It’s getting close to being done. You can still buy version 1.0 on the App Store now, or check out the PC Beta, if you like, but we’ll have the full-shebang done and launched in the coming months, with a big re-launch on iOS and an official Steam launch! We’re stoked! 2) We’re officially Wii U and PlayStation Developers! VERY COOL! We’re working on plans to bring current and future projects to more consoles and devices beyond iOS and PC soon! Stay tuned! 3) New games in the works! As Go To Bed nears completion, we’ve simultaneously been working on several other projects. We’ve got two additional games that we’re REALLY excited about. Both are very different from GTB and each other, and they’re really coming together. We’re optimistic that we’ll have all of them out and launched by the end of the year! So that’s it! We’re going to keep on plugging away and will have some official news to unveil about future games and other goodies soon! Thanks again for your support! Hope everyone had a great holidays! Go To Bed’s iOS launch was a fairly quiet one, but we’re excited to bang the drum again very soon with the upcoming launch of our big content update dubbed “The Gauntlet.” We’ve been working hard behind the scenes at Touchfight HQ putting together a punishing and inventive batch of challenge stages to flesh out Go To Bed’s gameplay in a few interesting and crazy directions! Alongside this meaty update, the core story mode will also be getting a few minor tweaks and refinements as well. For example, we know the toybox upgrade is a bit “meh,” so we’re going to kick that up a few notches, among a few other things. The Gauntlet update, which is exclusive to the iOS edition, will basically more than double the content that’s currently available in the game. Expect some new twists on the arcade style gameplay, a handful of tricky new foes, and an addictive collection/unlock element that should add some additional replay value. We’re hoping to have The Gauntlet update ready sometime in January, and will be making a big push to spread the word once it’s out. This will cap off the iOS edition, and we’ll be turning our attention to fleshing out the PC version with an entirely different batch of exclusive content! You can still grab the PC Beta directly through us via Gumroad right now, and we’d appreciate your support with a YES vote to help us get Greenlit on Steam!